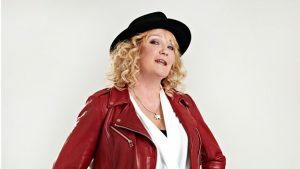 Janice Long, the veteran broadcaster whose BBC Radio Two show was axed earlier this year, is to return with a new show on BBC Radio Wales. Long recorded her final Radio Two late-night show in emotional scenes in January. She'll record her new show - which will air between 7pm and 10pm from Monday to Thursday - from BBC Wales' studio in Wrexham. It will feature live sessions and aim to provide a platform for Welsh artists. Ahead of joining the station in May, Long will be sitting in for Jo Whiley on BBC Radio 2 from April 10-13 between 8pm and 10pm. She will also be presenting two weeks of breakfast on BBC Radio Merseyside this August as part of their 50th birthday celebrations.